Jim Martin passed away recently in Gadsden at 99 years old. His beloved wife of 70 years, Pat, was by his side. He was a true Christian gentleman. Jim was one of the fathers of the modern Republican Party in the South. In 1962, John Kennedy was President. Camelot was in full bloom. The Congress was controlled by Democrats only because the South was solidly Democratic. The southern bloc of senators and congressmen were all Democrats. Because of their enormous seniority, they controlled both houses of Congress. President Donald Trump, House Speaker Paul Ryan (R-WI), and many other GOP lawmakers have continually referenced faith and religion when referring to public policy. President Trump’s public remarks have increasing been laced with religious rhetoric—from invoking the Lord to support his declaration of opioid addiction as a national health emergency to his appeal to God to bless the world after launching military strikes in Syria. Similarly, when a policy crisis on gun violence reemerged in the wake of the Sutherland Springs, Texas, massacre, Speaker Ryan immediately reverted to religious rituals urging prayer for the community, but stopping short of a call for legislation to address gun violence—something he is well positioned to do. While it is difficult to persuade a state that relies on the federal government for 42% of its budget that it should begin to unwind some of those funds, there is arguably more for a state to gain than lose by shedding some of its dependence on the federal trough. But even if voluntarily forgoing such assistance is a bridge too far, it is becoming more and more essential for the state to assume greater financial responsibility. Alabama voters are looking at legislators to do just that. On November 23, 2016, then-President-elect Donald Trump announced that he would nominate Betsy DeVos, a pay-for-play billionaire with no experience working in public schools, to be his secretary of education. This move signaled to students, parents, educators, and public school advocates that Trump intended to make good on his promise to eliminate the U.S. Department of Education. During his 2016 campaign, Trump rarely mentioned education except to call repeatedly to eliminate the department or to chastise urban public schools and districts. Once in office, he quickly nominated DeVos to turn his campaign rallying cry into a reality. In every trade, both sides benefit from their own individual perspective. The reason is simple: Each side is giving up something he values less for something he values more. That means, then, that trade, in and of itself, raises people’s standard of living. At the moment of the trade, both traders are better off than they were before the trade. Joseph O. Patton: Taking back Thanksgiving! 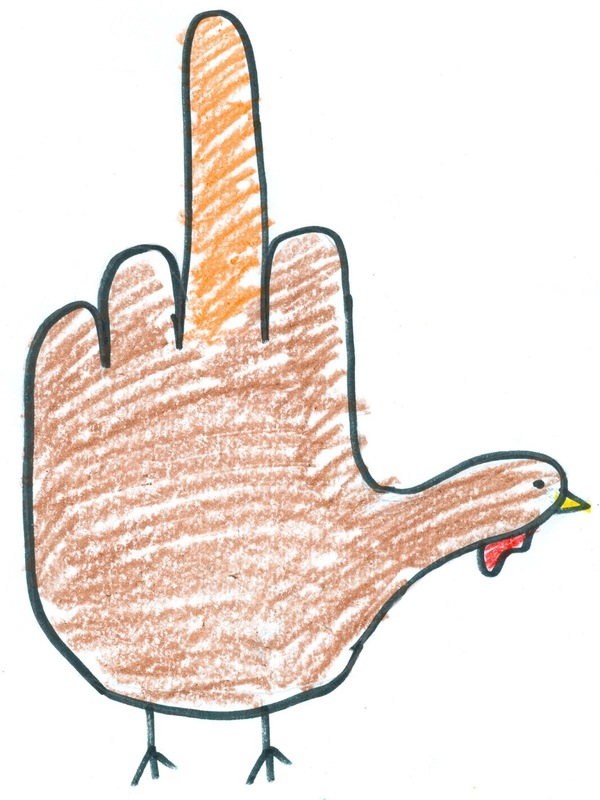 I am genuinely elated to report that I have survived another Thanksgiving… or rather what remains of this rapidly deteriorating national holiday. I ate, I watched football, I napped. God ordained back in the Plymouth Rock days that we adhere to this sacred ritual, right? And doing so enables me to show my Turkey Day pride, get my festive gobble-gobble swerve thang on, but mostly just suffer from indigestion as a result of all that sweet, blessed gluttony. But increasingly each year something else is ominously creeping into the view from my yam-tinted glasses, vulgarly tinkling on my Thanksgiving joy and ruthlessly pushing all the pilgrim imagery to the side - its name: Christmas. The big question in the Alabama U.S. Senate race: Will allegations against Roy Moore and his purported propensities 40 ago cause him to lose? We will soon see. The election is less than three weeks away. The book on Moore is easy to read. The polls have consistently revealed that 30 percent of voters like him, and 70 percent do not like him. He is a polarizing figure and is well known. The bad news about the criminal justice system can seem overwhelming: vast racial disparities; an incarceration rate unprecedented in world history and more than quadrupling over the past four decades; a school-to-prison pipeline that short-circuits our children’s futures. It’s a bleak picture of American justice. That’s why a prison re-entry plan conceived by — and for — Indiana women is such a breath of fresh air. One of the burning issues of our time is the role of the U.S. government in foreign affairs: Should the United States embrace interventionism or non-interventionism? Should the U.S. government be destroying democratically elected regimes? Should it be installing into power right-wing dictatorships? Should it be partnering with and supporting brutal dictatorships? Should it be using U.S. taxpayer money to fund foreign regimes? Should it be invading and waging wars of aggression against independent countries? Should it be intervening in foreign civil wars or revolutions? Should it be kidnapping, torturing, and assassinating people in other countries, including foreign leaders? Should it be maintaining military bases in foreign countries? Should it be spying on foreign regimes? Should it be imposing sanctions and embargoes on foreigners? As we feared, the FBI’s hate crime report for 2016 shows a second straight year of increases – the first time that’s happened in a decade. It means that in the last two years, the number of reported hate crimes has risen by nearly 12 percent. Government studies show that the actual number of hate crimes may be as high as 250,000 – more than 40 times the 6,121 incidents that the FBI reports for 2016. But the FBI figures do serve as a rough barometer for what’s occurring in our country. 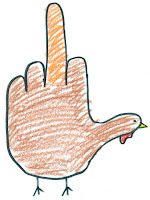 Every Thanksgiving, I like to write an editorial about the things that I am thankful for. I’ve written about how thankful I am for my family, and for public servants like Alabama’s educators. But this year, I want to say how thankful I am for our country’s veterans. We just celebrated Veterans Day, of course, and we are blessed to live in a part of the country where our nation’s veterans are still revered and respected. Still, I feel that Thanksgiving is the perfect time to say thank you to the men and women who have served our great nation. I know where that fake Washington Post reporter robocall, with its anti-Semitic undertone, came from. It’s a rock where, no doubt, guffaws went around at seeing real journalists having to report on this shameful, bigoted prank. It’s a rock where, no doubt, those responsible for the prank are slapping themselves on the back for folding anti-Semitism in with an anti-news media tactic. Hank Sanders: Senate Sketches #1588: One moment! One chance! One vote! I spoke for fewer than five minutes. I had to leave Montgomery immediately to travel to Atlanta and on to Boston. The speech, if one can call it that, was at the Alabama New South Coalition Annual Fall Convention in Montgomery. Some people have asked for a copy of the video or audio. I did not know that it was recorded. After these requests, I thought I might as well use Sketches to share some of what I said, or tried to say, on this occasion. I say, “tried to say,” because I don’t recall exactly what I said. First, let me state that it was not a political speech in the usual sense. No candidate was endorsed. No candidate was attacked. No names of living persons were ever called. However, the power of voting was detailed. Changing Alabama for the better was raised loud and clear. Changing America for the better was lifted high and clearly. But no names were called and no officials or prospective officials were held responsible. In March of this year, the Alabama Community College System took a giant leap forward when it brought on a giant in state government and one of Alabama’s preeminent leaders, Jimmy Baker, to be Chancellor. When you have a conversation with Chancellor Baker, he uses words that you do not normally hear in the same sentence, like exciting and community college. He says it is an exciting time. For many reasons, Alabama's community colleges and technical training have been viewed as second best when it comes to higher education options. Sit down with Chancellor Baker and you will leave convinced that Alabama’s community colleges can do more to move the state forward than any other entity in the state. If law enforcement agencies in Alabama want to seize and keep someone’s property — cash, cars, real estate, guns, TVs or other assets — they don’t have to prove beyond a reasonable doubt that it was used in drug trafficking or obtained through criminal activity. As in many other states, they don’t have to show that the property owner was convicted of a crime — or even charged with one. They can just take the property. And in the vast majority of cases, they get to keep it. From Obamacare to Common Core, Alabama is known for being among the first to react in high-profile cases of DC overreach. Under the banner of the state motto, “We dare defend our rights,” Alabamians seem to share an innate sense of self-determination. Yet, despite its long-standing reputation, the state has essentially welcomed much of the federal interference that jeopardizes voters’ treasured autonomy. Case in point, a 2017 study ranked Alabama the fourth most federally dependent state, having accepted enough federal funds to comprise more than 40% of the state budget. Hank Sanders: Senate Sketches #1587: How do we deal with the death of our young as a result of violence? Sometimes death comes creeping into our lives. Other times death comes storming into our lives, our homes, our families, and our communities. We are born to die, but some die all too soon. It’s hard when death comes no matter the circumstances. But it’s really hard when death comes all too soon. It’s really, really hard when death comes violently and too soon at the hands of other human beings. Last week, death came storming into our lives all too soon. Last week, House Republicans released their tax plan, finally providing long-awaited details on what they really mean when they promise “tax reform.” While they billed it as a middle-class tax cut, the new legislation is filled with gifts for wealthy corporations and the richest Americans. Meanwhile, middle-class and working families would at best get scraps—and in many cases, see their taxes increase. Not that we should ever cease identifying, talking about or countering misinformation, be it accidental error, the result of negligent work, or deliberately false — to which we must now add propaganda tactics aimed at destabilizing our democracy. We face all those types of misinformation today; amplified as they are by platforms that allow for instantaneous, worldwide communication. We still have the culmination of the race for the seat of Jeff Sessions set to be determined in less than five weeks on December 12. Roy Moore, as the Republican nominee, is the favorite. However, the Democrat, Doug Jones, could make it a closer race than first thought. He has raised some money and gained some traction, and Moore has a good many detractors among Republican and independent voters. The 2018 races are looming on the horizon. All of the horses may not be at the gate yet. However, we are only seven months away from the GOP Primary. What at one time looked as though it would be a titanic race for governor may not be as good as first thought. Governor Kay Ivey is in the catbird’s seat to win a four-year term of her own. Huntsville Mayor Tommy Battle appears at this time to be her most difficult hurdle. Birmingham evangelist, Scott Dawson, is poised to be a dark horse. On November 2, House Republicans released a tax plan that would provide an enormous windfall for corporations and the wealthiest Americans. In fact, of the more than $1.4 trillion in tax cuts included in the bill over the next decade, $1 trillion would go to businesses and corporations, and nearly $200 billion would go towards reducing, and eventually eliminating, the estate tax. Millionaires would enjoy the biggest tax cuts of all thanks to the corporate tax cuts, the elimination of the estate tax and alternative minimum tax, reduced tax rates on higher incomes, and the creation of a special new loophole on so-called passthrough business income. President Trump’s pick to lead NASA, U.S. Rep. Jim Bridenstine, faced criticism last week for his skepticism of climate change and his conservative stances on homosexuality. But it was Bridenstine’s associations with anti-Muslim extremists like Frank Gaffney, Jr. that was perhaps the most alarming revelation to emerge from his Senate confirmation hearing. Gaffney is the founder of the anti-Muslim hate group Center for Security Policy (CSP), known for propagating paranoid conspiracy theories about the supposed infiltration of the federal government by the Muslim Brotherhood. Gaffney’s CSP is so extreme that it has been banned from participating even in the conservative conference CPAC. Habit is a powerful thing. Habit is when we do what we have always done. There is great security in habit. There is great stability in habit. There is great comfort in habit. However, habit does not change things; it maintains things. If we do what we’ve always done, we will get what we’ve always gotten. The author of the preceding statement is unknown. Some say it came from comedian Jackie “Moms” Mabley. Others say Henry Ford. Still others say Albert Einstein. Others say Tony Robbins and so on. We don’t really know the original source. But we do know the power of the statement. When the Alabama Legislature returns to Montgomery in January, you won’t hear a whole lot about education. What you will hear a lot about is prisons (since a federal court ordered the state to solve the problems with staffing and mental health) and social issues that legislators hope will benefit them in next year’s elections. And that’s a real shame because one of the most important things our state government is responsible for is providing a quality education for all – and not just some – of our children. Is the First Amendment truly in danger? It can certainly seem like it when every week some new and alarming event happens that makes people wonder if our freedom to express ourselves is slipping away. But is that just a feeling that we get from being plugged into the 24-hour news cycle, or from listening to pundits argue with each other on cable television? With all the changes and uncertainty surrounding Alabama government in recent months, including political appointments, high level resignations, special elections, runoff elections and a host of new candidates tossing their names into the 2018 election circus, Alabamians might be relieved to know one thing remains steady and solid and many may never have heard of it – Alabama’s Silver Haired Legislature is one of Alabama’s crown jewels.